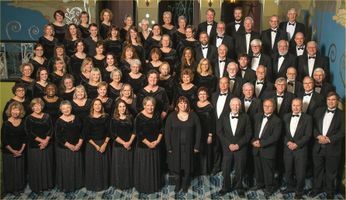 Spokane Symphony Chorale Benefit Concert "Soul of America"
Tickets on sale now from any member of the Symphony Chorale and at the Spokane Symphony Associates website. The concert features the beautiful voices of the talented 80 member Spokane Symphony Chorale directed by Dr. Kristina Ploeger. The program consists of American composer including William Billings, Aaron Copland, Moses Hogan, Alice Parker, Richard Rodgers, Leonard Bernstein, Stephen Sondheim Morton Lauridsen, Gwyneth Walker, Andrea Ramsey and more. Pianist wil be Carolyn Jess. All proceeds from the concert will benefit the Spokane Symphony and is sponsored by the Cantabile Chapter of the Spokane Symphony Associates.